God knows, I sincerely enjoyed reading and reviewing Lakisha Johnson‘s book. The characters remind this reader of too many familiar others, albeit, her characters were difficult to imagine. Johnson is a good storyteller! Her tone and pace meld well with the tone she sets from one scene to the next. On the first impression, I’m happy to find a Christian author/church pastor with more than a dozen books published under her belt. I’m thrilled she is one of the UBAWA’s top 100 authors. Her writing speaks to real life marital and family relationships in a down-to-earth-African-American style, using prayer and the word of God to anchor her forward driven character narratives. 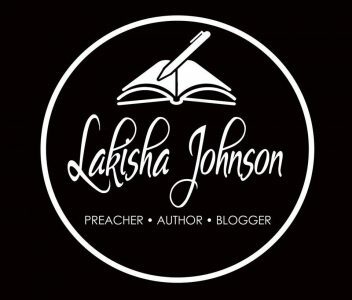 It is apparent (to this blogger/book reviewer) that Johnson’s target audiences consist of Bible-believing-church-going-carnal-minded Christians, and it’s clear to me that she writes for the pleasures of her readers. In The Family that Lies: Merci Restored, we revisit the Alexanders to see how life has treated them. Is Melvin still raising hell? Has Merci and Thomas’ marriage survived? How is Imani Grayce? What happened with Merci’s relationship with Warren? All the questions we answer but I have to warn you. There will be tragedy, hurt and of course LIES! But what good would a book be without it? Get Your Copy and then SHARE! “But you have the ability to stop the cycle, if you want too.” She coolly says. “Barriers were the thing I needed to survive.” I state, getting angry. “And how has that worked for you so far? Hiding from your past will not stop what has tainted your bloodline. You have to face your fears head on or they’ll keep chasing you. Look Magnolia, you stand up before a congregation of people, Sunday after Sunday pretending to be this free woman but once the lights are off in the sanctuary, you go right back to your prison.” Dr. Mitchell says.